The Nintendo Switch was released only a year and a half ago and it allowed its players the use of online gaming without having to purchase an online subscription. However times have changed and on September 18th Nintendo Switch Online had launched and could be purchased for $3.99 for one month, $7.99 for three months, $19.99 for twelve months and a Family Membership for $34.99 annually. 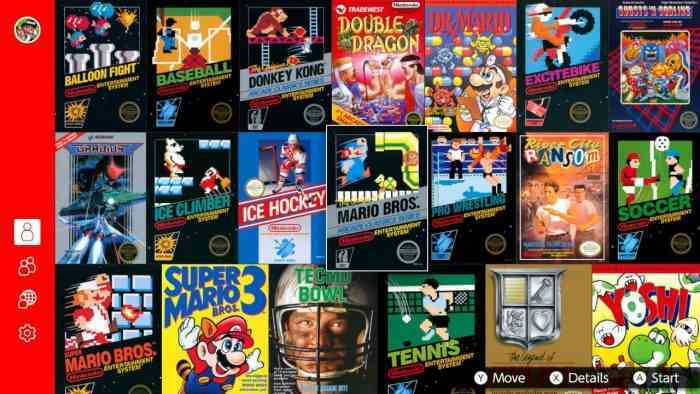 By purchasing this subscription, players now have access to the once free online multiplayer, save data cloud storage, and 20 free NES games with online features. Members will also be eligible for special discounts in the Nintendo Eshop on digital titles. While I don’t particularly do much online gaming, more due to not having many friends who own Switches, I was most interested in the process of the Cloud Storage and the Nintendo version of Netflix and it’s roster of free NES games. Once booting up the app on your Switch, the reminiscent sound of the Mario coin drop can be heard before taking you to the main menu. The menu right off the bat is bright and well laid out but if you fancy changing the game order around, organizing from favorite to least, hitting the Y button will let you move the titles around. If Super Mario Bros 3 is the only game you want to play, you can select it with the Y button and move it to the very top for its own line. Clicking over to the very left you can select whether you are playing with one player, local co-op two players and playing online with a friend. Navigating through the app is a breeze and playing single player is just as easy. By pressing the ZL + ZR buttons, you are taken to the pause menu where you can create a Suspend Point, which gives players up to 4 save slots, load your Suspend Point, reset your game or simply go back to Game Selection. When playing games with a partner, with each of us holding a single Joy Con, the controls don’t translate as well and felt awkward and clunky. Unfortunately, there isn’t an option to remap the controls for easier use so if you have more than one set of Joy cons, it would just make more sense to use those. Unfortunately for those who don’t have friends who have also purchased the online subscription, you won’t be playing any online multiplayer NES games as Nintendo has made it so the online detection only allows you to play with people who are specifically on your friends list. This is really quite unfortunate as this really limits players who may want to join up with random players, whether your friends are unavailable at the time or if your friends haven’t decided to purchase the online subscription. Another great feature that comes along with the purchase of the online subscription is the opportunity to have Cloud Storage. As the Switch can be used as both as a docked console or a hand-held device, there is a bit more worry about possibly damaging or losing your Switch. With having cloud storage, you know that you can at least get your game saves back. But the drawback — The cloud doesn’t work for all games. So games like Splatoon 2, Dark Souls Remastered and even the upcoming Pokemon: Let’s Go, Pikachu! And Let’s go Eevee! And more will not be saved to the cloud. This decision was made in an attempt to prevent cheating, but will it really work? Nintendo has got some really great ideas but unfortunately, their execution seems to fall a little flat. While being able to play free NES games is absolutely amazing, none of the titles really interested me, however, there will be three new games added each month. Games like Metroid will be available in November and Ninja Gaiden in December while the list for 2019 is still currently being decided. The cloud storage is a fantastic addition to the service but knowing that only a limited amount of third and first party games can be saved, and not being able to back up the games at all to a USB, is a bit frustrating as well. Not to mention when using a mic during online play, it is incredibly hard trying to use the smartphone app while also playing the game. Trying to balance the phone’s chat audio and still hear the game was incredibly awkward. 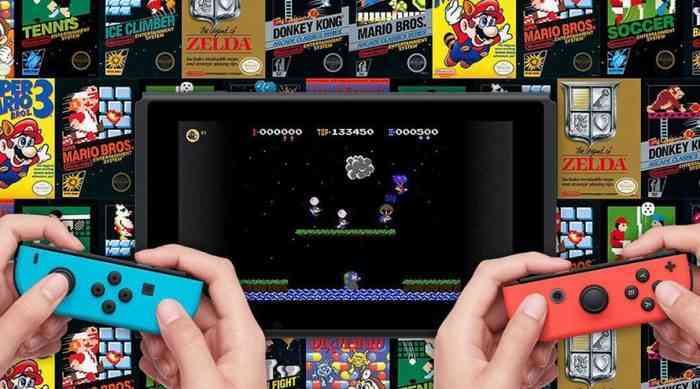 The features of the online subscription is certainly a great start and with the low annual cost of $19.99, you really can’t go wrong, even if you are purchasing it only to be able to play the NES games and discounted digital titles.